When you have multiple sources of data and you wish to reference them all in one worksheet, it can get a bit messy to put all the data on one worksheet. Maybe you want to link to a web page? No problem! 1. 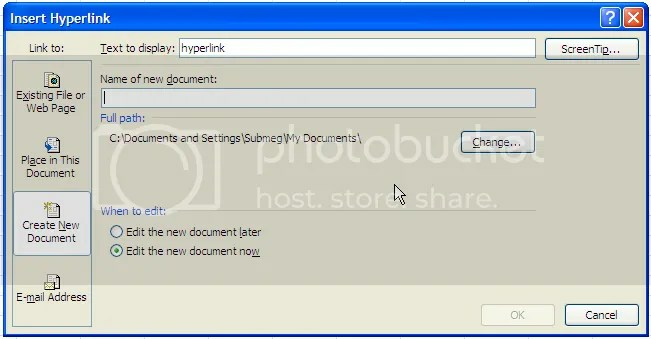 Create some text which you wish to use as a hyperlink. Right click on the text and scroll down to hyperlink. 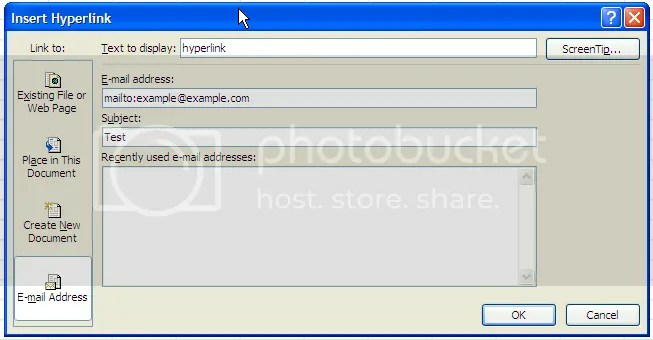 To link to a web page, add in an address in the address bar and click OK. When you click on the link, it will open a new browser instance and will go to the page listed. If you insert a document into the address, excel will determine which program is required and will open the document. A link to a location in a document is also possible. After right clicking on the text, select “place in this document”. You can then select the desired sheet and cell to link to. 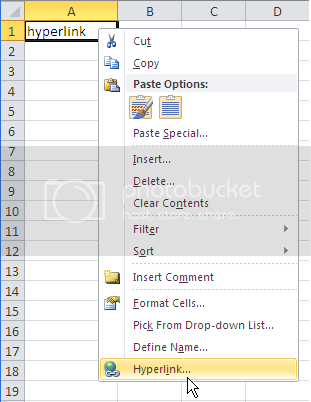 After right-clicking on the document, select “create new document”. You can select the name of the new document and the location of where the file is to be saved. You can also send an email. This requires that you have outlook installed and setup on your computer so that an email can be sent. Then, after clicking on the hyperlink, the desired outcome will be completed.